Join Eileen Anderson for this thought provoking webinar. Something has happened to the word “threshold.” Surprisingly, the way the term is used in the force free dog training community is comparatively new. The general consensus is that the term “over threshold” refers to a dog that has been adversely affected by a stimulus and demonstrating that by overt behavior. However, this usage differs from the original definition of “threshold" as used in the discipline of psychology. The discrepancy between the usages contributes to some confusion in the training community. The webinar will cover several different usages of the word “threshold” as applied to the senses, emotions, and behavior of dogs, and how different methods of training and conditioning dogs with behavior problems fit with regard to these various tipping points. 2. To review the usage of the term “over threshold” in the dog training community. 3. To learn about the physiological “fight or flight” response. 4. To understand the definition of “aversive” and its implications when dealing with fear responses. Eileen is a passionate amateur dog trainer who writes about learning theory, her life with three dogs, and force free training in her blog and other publications. She brings a science background, critical thinking skills, and teaching experience to her writing, with a focus on making training accessible and learning theory comprehensible to pet owners. Eileen has worked professionally as a writer and academic editor, a network administrator, taught remedial college math, and trained all levels of computer skills in academic and workplace settings. She has a lifelong passion for making technology accessible to women, people with low literacy skills, and other underserved populations. She is now channeling that same urge to translate, explain, and make concepts comprehensible into the subjects of humane treatment of dogs and joyful companionship between dogs and people. She has bachelor’s and master’s degrees in music performance, and a master’s degree in engineering science. She received the Certificate of Excellence for completion of Susan Friedman’s professional course, Living and Learning with Animals, in 2012. She lives in the mid-Southern U.S. and works at a non-profit that helps impoverished women access medical care. She blogs at Eileen and Dogs, Click here . Join Eileen Anderson for this thought provoking webinar on Canine cognitive dysfunction. Canine cognitive dysfunction is a disease that is extremely under-diagnosed, with many dog owners learning what is wrong with their dog only when the dog may not have much time left. But many dogs with CCD can still live enriched lives, and some can profit from medical treatments and environmental changes. There is no magic cure, but early recognition of the disease will help many dogs live happier lives and help dog owners feel less alone. 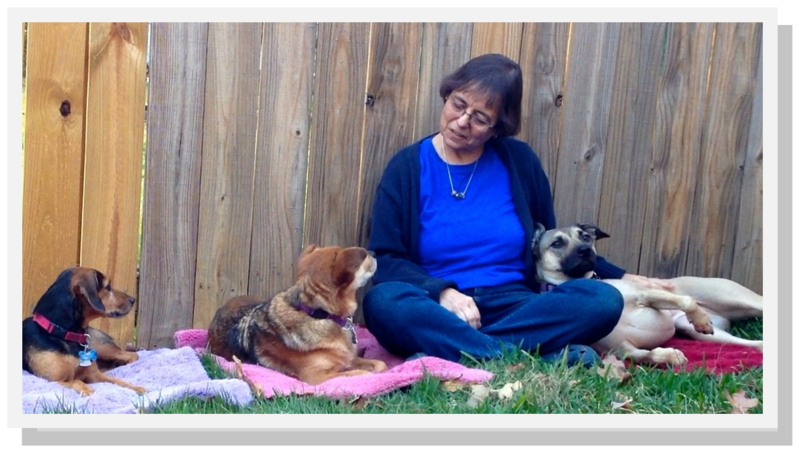 Eileen will share her own experience with her dog with CCD, who had a good life for two years after diagnosis. She’ll also cover general tips for caring for dogs with CCD, and offer resources for those who are considering euthanasia. This always difficult decision can be even more difficult for people when the dog involved is mentally deteriorating but physically healthy. Learn the symptoms of canine cognitive dysfunction and how it is diagnosed. Learn about treatments and interventions, but also the reasons to be skeptical of “cures." Learn about techniques and products that can help a dog with CCD have a good life for as long as possible. Learn about existing resources that can aid in making a decision about euthanasia.